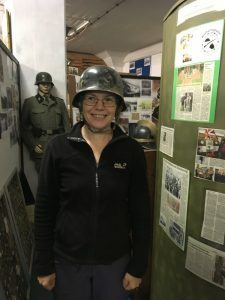 Recently our family ventured into the Northern part of Germany. 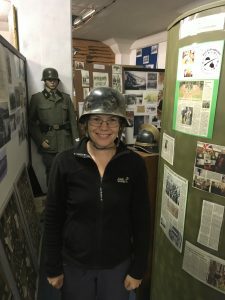 For me the trip was filled with research for my upcoming novel Uncommon Sacrifice. 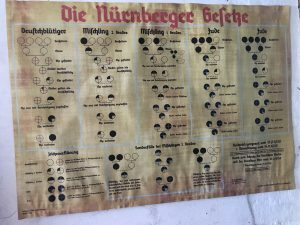 While my kids and hubby enjoyed the theme park Heidepark Soltau, I set off to visit the concentration camp in Bergen-Belsen, a very sobering visit that I’ll tell you about in another blog post. 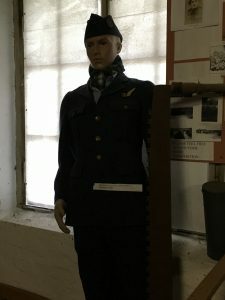 The highlight of our trip – at least for me – was a visit to the Military Museum in Fallingbostel on the grounds of the former prisoner of war camp STALAG XIB / 357. 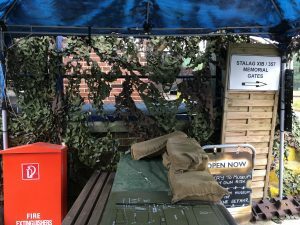 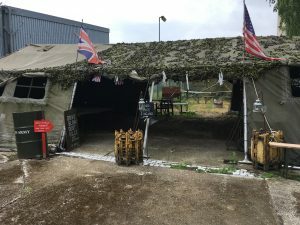 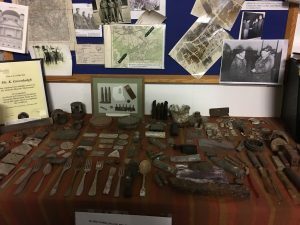 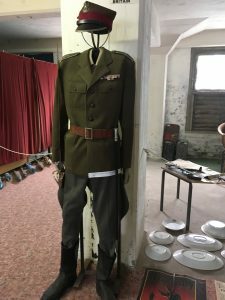 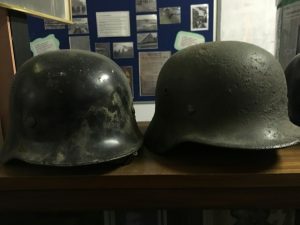 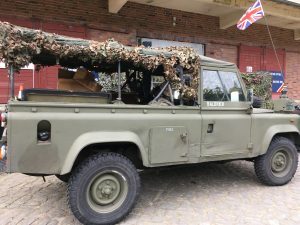 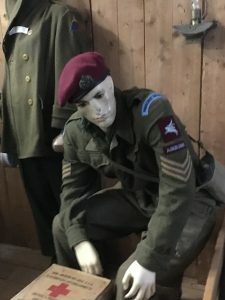 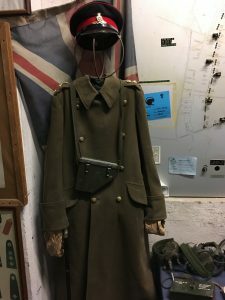 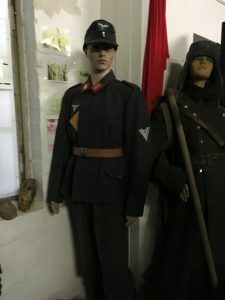 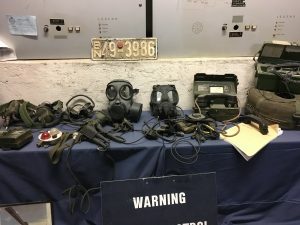 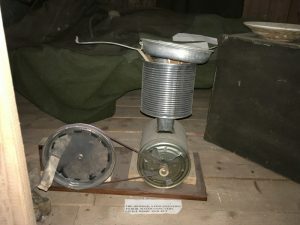 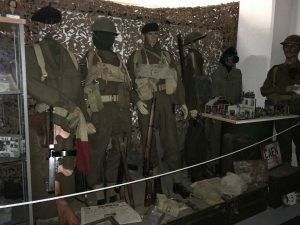 The privately owned museum is a work of love, maintained by Kevin Greenhalgh, a British veteran who used to be deployed on the NATO base in Fallingbostel-Oerbke. 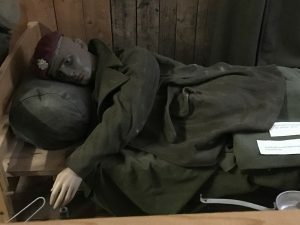 The museum only opens when he has time to be there and you can’t imagine how relieved I was when he announced in his Facebook group that the museum will be open the very Sunday I traveled nearby. 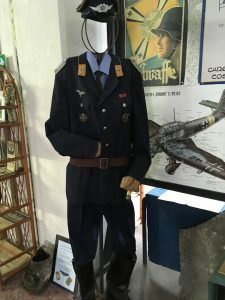 Kevin personally gave me a two hour tour through his military museum, explaining the expositions and recounting anecdotes from actual former POWs in Fallingbostel. 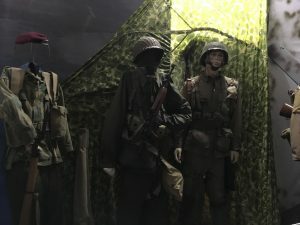 The museum concentrates on World War II, but also features sections about the Cold War, Vietnam, Korea and Afghanistan. 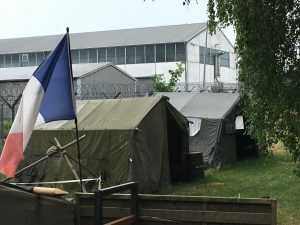 It has become the place to go for descendants of former prisoners of war and he even organizes get-together events and reenactments. 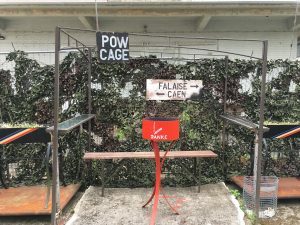 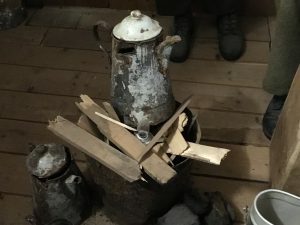 One of them is the yearly celebration of the anniversary of the POW camp liberation in April, where reenactors from many countries gather and remember those who have fallen. 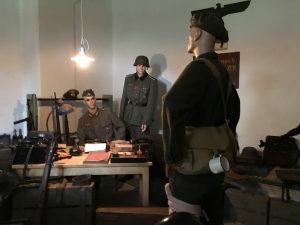 If you ever happen to be in Germany near Hannover I recommend you visit the wonderful Fallingbostel Military Museum. 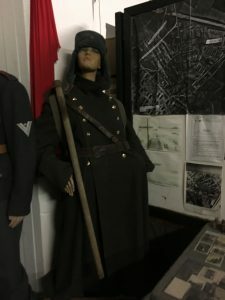 You may wonder, why I was so keen on visiting this particular place, apart from general curiosity and need of research.If you have read Fatal Encounter you will know that Peter was taken prisoner of war after the Warsaw Uprising. 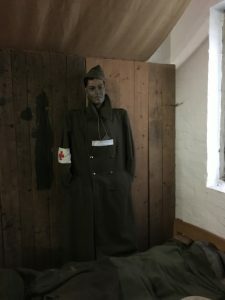 First, I wanted to send him to POW camp in Zeithain near Dresden, but during my research I came across two sentences on the Bergen-Belsen website about the arduous trips across half of Europe some of the prisoners who’d first arrived in Fallingbostel had to endure. 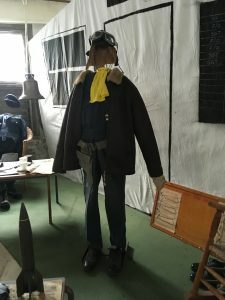 To get a feel for the actual conditions back then it was clear that I just had to visit the museum on the former camp grounds. 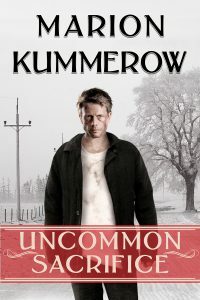 The infamous death marches immediately caught my attention and poor Peter’s fate was sealed: he was to be sent on a death march in my next novel Uncommon Sacrifice. 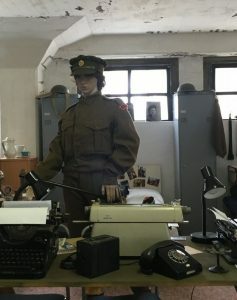 (Thank God, he’s only a fictional person 😁).